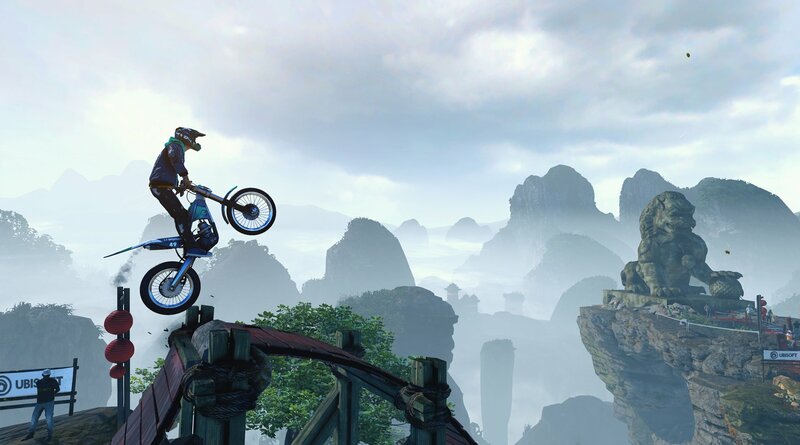 It's been several years now since Trials Fusion and that means it's getting to be about time for another installment. While Fusion had the right mechanical foundation, I thought it fell short with its futuristic theme and misplaced emphasis on tricks. It felt like a step down from the stellar Trials Evolution. With that aftertaste lingering in my mouth since 2014, I wasn't feeling super confident about Trials Rising. Ubisoft's demo at E3 has lifted my spirits, though -- the game seems like a return to form. There wasn't any one particular element that stood out to me as the difference maker, but it had the right look and more importantly the right handling. Levels themed around a skate park and an amusement park were lively yet easy to read, and despite not playing Trials in a good long while, I slipped right back into my old ways in Rising. This is shaping up to be comfort food for fans. The main new aspect of Rising on display at E3 was a cooperative Tandem Bike mode in which two players share control of one bike. You each use your own controller and have influence over your ride. That might sound like a nightmare in a platforming game as technical as Trials, but it was genuinely fun seeing the look of horror on my partner's face as I went for an extra flip (or two) she wasn't expecting. I only played a few levels shown in the trailer above (and then replayed them with the Tandem Bike), so my experience was admittedly surface-level. It's clear Trials Rising is heading in the right direction, though. I've come away expecting a palate cleanser, which is exactly what I want from this game. Ubisoft is planning a closed beta before the February 2019 launch on PC, PS4, Xbox One, and Switch.